Love the world around you with this wonderful heart-shaped board book! Simple text and Tomie dePaola?s classic illustrations honor the little things in life, like the wind, the trees, the birds, and the stars. 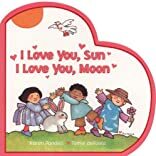 This favorite board book is being reissued in a heart shape, with slightly bigger trim and shiny pink foil. It?s perfect for Valentine?s Day, Earth Day, and every day!